In the 1980s and 1990s, Nike's impact on popular culture exploded through the roof thanks to memorable products and promotional campaigns inspired by its top basketball spokesperson, Michael Jordan. One of Nike's most enduring productions from the height of the Air Jordan era is its famous "Wings" poster of the Chicago Bulls legend. 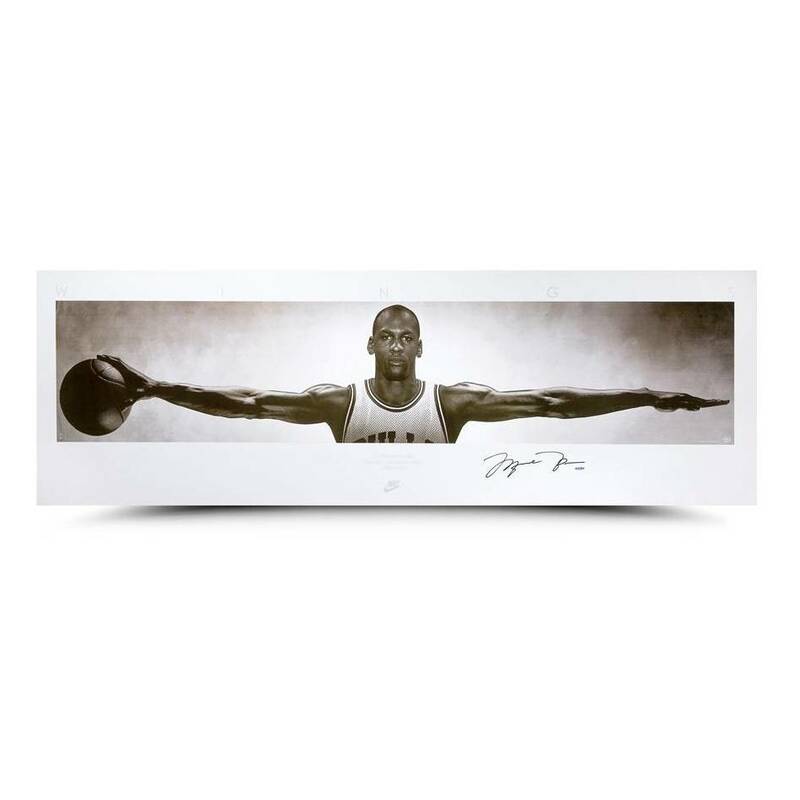 Upper Deck brings back this classic poster with a new twist: Michael Jordan's autograph. Includes the iconic quote from the poet William Blake: "No bird soars too high, If he soars with his own wings." Jordan's signature is guaranteed authentic through Upper Deck Authenticated's five-step process.